Parkrun, It’s not just about the run, it’s about building friendships! 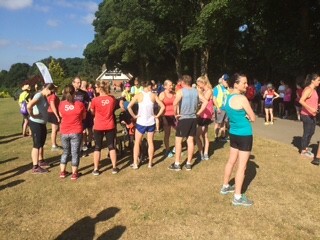 Jo welcomed everyone to another beautiful but very warm parkrun. She encouraged everyone to give all the volunteers a rapturous round of applause. She encouraged anyone who hadn’t volunteered to ‘give it a go’ reassuring them they would find it a fulfilling experience. We welcomed tourists visiting us including from Carlisle and Durban, South Africa! Not many milestones today although I hear on the grapevine there may be some next week. A special mention to Leo Duncan for doing their 10th junior parkrun and David Sheppard for his 200th run. Special belated thanks to Paul MILLEN for sorting out the printed barcode stickers. Extra special thanks from all of those who token sort from time to time, you have helped make our lives much easier!!! 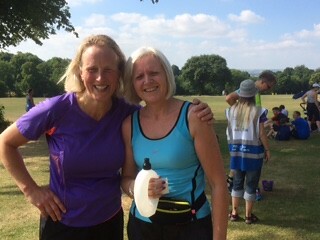 Claire and Jayne have kindly offered to share their experience of how parkrun has impacted on their life. They came to parkrun as non-runners or knowing each other. Claire said she didn’t even start running until she was 45 years old. 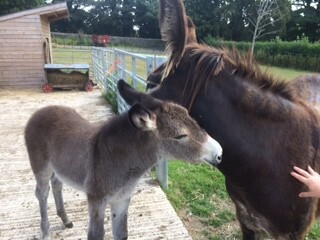 They came to find themselves pacing each other each week which led to them chatting to each other and becoming friends. They both expressed how parkrun had added to their lives being good for their health and emotional wellbeing. Their friendship has gone from strength to strength. They train together outside of parkrun and are planning on embarking on a 10km. For Claire and Jayne its much than about running its about their friendship. They now socialise outside of parkrun, enjoying gin afternoons (in moderation!) and afternoon teas. 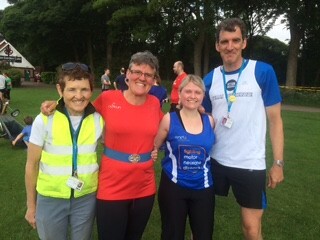 Jayne’s family and friends have become involved in parkrun too! Thank you so much for sharing your story ladies. I think it’s so important for people to realise how life enriching parkrun is. It was great to hear your story and its obvious to see the happiness your friendship has bought you. A big welcome to our international visitor today Sonia Robertson. She usually takes part in parkruns in South Africa with her twin sister. 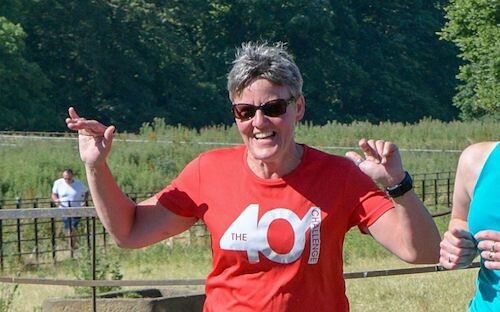 She did her 49th parkrun today and is looking forward to doing her 50th with her twin sister. 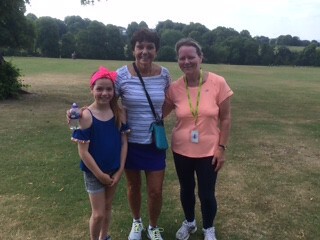 Well done Sonia, we hope you enjoyed the Graves parkrun hospitality. Some people were treated to a post run massage or advice from Michael, Gary and Joyce from Sheffield Sports Medicine again this week, with donations going to Weston Park Cancer Charity. Thank you to you all. A further 20 people were visiting Graves for the first time. The first milestone celebrated this week was join Leo DUNCAN joining the junior 10 runs Club. Congratulations also to David SHEPPARD for achieving 200 runs. There were 24 PB’s this morning. Well done everyone (especially in the heat! )!